Greg Davis is in the office by 6:45 every morning. Like many of us, he begins the day by switching on his computer and fixing himself a pick-me-up. He walks out into the distillery and takes small samples from stills #1 and #2 – “catching the high wine” (the finished product), he calls it. Back at his desk, he cuts them to 40-proof before smelling and tasting. It’s a cup of Kentucky Folgers, some real Morning Thunder. “It’s my morning coffee”, he says. It’s another day at Maker’s Mark. He’s the youngest master distiller in the state, at the helm of one of the industry’s most historic and iconic brands. Born and raised in Kentucky, a graduate of the University of Louisville, with a deep knowledge and appreciation of the bourbon tradition, Greg and Maker’s Mark have been on a collision course since, er, his 21st birthday. And in the midst of a micro-distillation boom, his willingness to serve as more of a steward than a small-batch pioneer makes him a valuable – and increasingly rare – commodity. “I’m a dinosaur”, he says, a perfect fit for an equally prehistoric production. 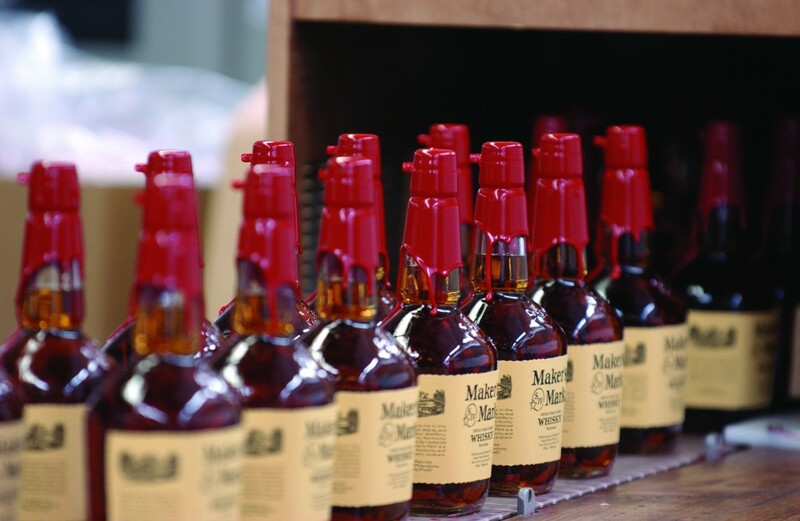 Maker’s Mark essentially makes one thing, and it’s the same whisky that first hit the shelves in 1959. The methodology and equipment haven’t changed much either since 1954, when founder and 6th generation distiller Bill Samuels Sr. perfected his new grain formula – 70% corn, 16% soft red winter wheat (instead of rye), 14% malted barley. “We use a roller mill to grind everything. We have one strainer; the Samuel’s family yeast strainer. We have one way of distilling. We have one way of maturing our whisky, to give you one product: Maker’s Mark”, Greg tells me. Together with the mash bill (the list/ratio of ingredients), these are the five constants of the distillation process. And any small deviation from the Samuels bourbon blueprint is of exponentially greater consequence down the road. The challenge, then, is to find ways to increase production without changing the flavor of the whisky, an ideal application for Greg’s shrewd brand of creativity. “We’re always trying to shrink the bulls eye”, he says. “It’s about how small can you make it, how many times can you keep splitting the arrow”. To keep up with rising domestic and international demand, Greg will need to be Robin Hood. It’s tempting to think of his task as thankless and bordering on Sisyphean. I can imagine Greg wearing a tattered polyester Maker’s Mark polo in the Kentucky summer, hand-cranking the roller mill all day to keep pace with the thirst of an insatiable whisky-swilling public. The ghost of Bill Samuels Sr. is hovering overhead, howling with laughter and barking slogans from the brand’s old campaigns (“It tastes expensive, and is!”). Each miserable day ends by being “slam dunked” – their term for completely dipping a bottle; all of those are collectors items – into the signature red wax. It’s a labor of unrequited love. All kidding aside, today’s “creative distillers” would say he’s merely the toolbox, with none of the freedoms of a craftsman. I suppose that’s fairly accurate. But the more I speak with Greg, the clearer it becomes that this is a facile and misguided approximation of his relationship with his work. Let’s take a step back. To most of us, Greg sounds like he could be from Nashville or Birmingham, Knoxville or Charleston. Perhaps Chattanooga or Atlanta, Memphis or Murfreesboro. He’s clearly educated and not from the deepest recesses of the South, but anything beyond that is Yankee speculation. His short vowels are lengthened and take on a slight glide, as is characteristic of Southern English. His emphasized syllables pack an extra pop (“Kin-TUCK-y”). Every ‘r’ is a subtle snarl. He talks like someone from the South talks. So, while charming to the ear, it took a concerted effort to disassociate concept from cadence, doctrine from drawl. Disregard phonology and Greg has a vague Midwestern-ness about him, an effervescence that still succeeds at being self-effacing. He speaks of Chicago as if it’s only an arm’s length away – both geographically and ideologically – like someone from Iowa or Minnesota would. Unlike his neighbors to the south, college basketball takes precedence over football. He does follow the NFL, however, and he’s a massive Bears fan. Trivial facts perhaps, but they nonetheless give the impression that Greg’s home state is something of a grey area. Kentucky sits near the origin of an American coordinate plane, part the non-descript, naptime space between defined cultural points for those traveling along either axis. It’s the flyover country of flyover country. 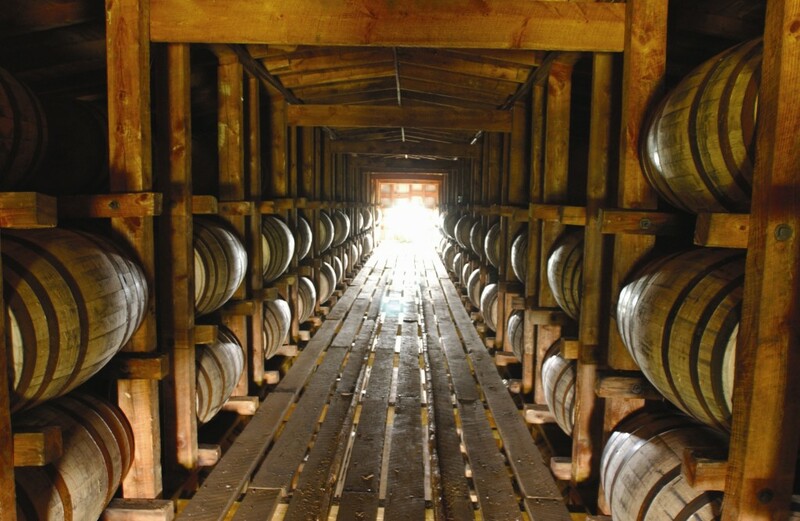 But in Bourbon terms, it’s the epicenter, radiating something fiercely American outward in all directions. Its history – and its production – is confined almost entirely to the state’s central counties, which has cultivated a champagne-like mystique around the product. Bourbon’s charm is more accessible, though, more workmanlike, with a tangible lineage. It’s the stuff of real American legend. And for Greg, being able to preserve that heritage is a source of great pride. 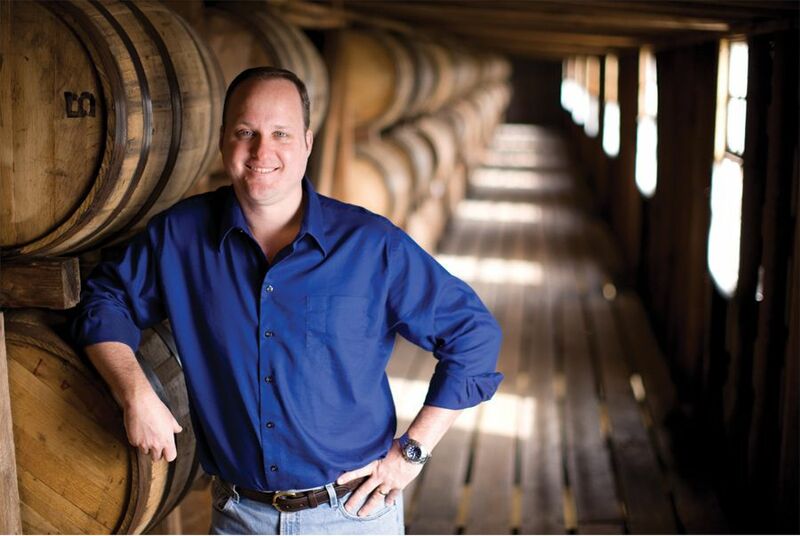 “I’ve always enjoyed the flavor, the finish, and the tradition.” He manages to sound deliberate and easy-going at the same time – down to his demeanor, Greg embodies bourbon. “An old friend, a best buddy”, with whom you have a kind of unspoken bond, is how he describes it. “He’s never gonna talk back to you. You’re only gonna take so much as you want. And in the morning he’s gone, you don’t have to put up with him.” There’s a playful nostalgia in his voice as he makes the comparison, and you can almost imagine the evolution of his “buddy” over the years, never failing to find its place in Greg’s life. In the lobby of the Hard Rock Hotel downtown, a few hours before the start of WhiskyFest Chicago, Greg and I sit and swap bourbon stories. He tells me of a recent family trip – “down in the tropics” – during Louisville’s run to the National Championship game. There’s a frantic search for an island with a TV. Then $300+ of extra data required to stream the game on an iPad. And finally, a bottle of Maker’s 46 uncorked after the final buzzer. Mine was incomplete by comparison; just a college kid buying a bottle slightly out of his price range in a silly yet earnest attempt to be a man for a night. “I’m right there with ya”, he says. At some point, I’m sure he really was. Having seen how deeply bourbon had impacted his life, I ask Greg if he feels any pressure in his position. “It’s not really pressure. It’s about carrying the torch”, he says. “Whether you consider it to be good, bad, ugly, or indifferent, that heritage is part of the character that makes Maker’s Mark.” And despite what he may tell you, so too is Greg.